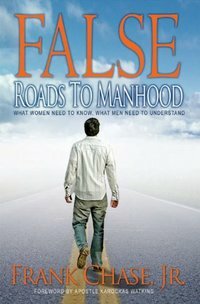 Dr. FRANK CHASE, JR., author of False Roads To Manhood, What Women Need To Know; What Men Need To Understand, and the new release, KLEPTOMANIAC: Who's Really Robbing God Anyway? He is a native of Baltimore, Maryland. He considers himself a miracle because at birth he weighed only two pounds and lived when the doctor's didn't think he'd make it. Dr. Chase is the president of FC Publishing, LLC. He works for the government as a senior aviation writer for the Department of the Army. He's a four-year veteran of the United States Army. Mr. Chase earned a Bachelor of Arts Degree in Communications and a minor in Sociology from Washington State University in 1989. 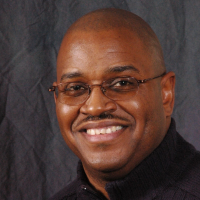 Dr. Chase has a BA in Biblical Studies and a Master of Arts in Theology from North Carolina College of Theology (NCCT) and has earned his Doctorate in Theology from NCCT in 2009. He has authored and published numerous religious articles for newspapers, online magazines and print media. He has appeared on television and radio programs for his first book. Chase is a Alabama resident and lives with his wife Teresa and their two children. More information about this book can be found at the publisher's website at www.fcpublishing.com. 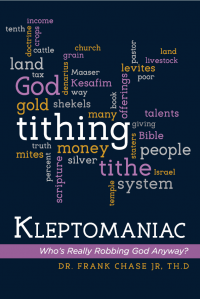 For additional information related to the new book, check out http://www.fcpublishing.com/about_kleptomaniac. If you want to read many book excerpts from kleptomaniac: Who's Really Robbing God Anyway, check out the book bubbles below.